Due to the GDPR, companies have been forced to make major changes in the way they collect and process consumer data. 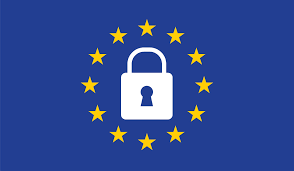 The GDPR has not only affected companies that offer goods/services to consumers in the EU regions but also those who monitor consumer behavior of people in the EU regions. Click HERE to access WFA’s GDPR guide for marketers. Since May 2018, new and revised laws have emerged from different countries across the world, most of which have been inspired by EU’s GDPR standard. In Kenya, the ministry of ICT issued a draft data protection Bill for comments until September 2018; therefore brands should at least begin researching and changing the ways in which they collect and process consumer data as it is inevitable that a time will come when they will be required to follow data protection regulations or stand to face certain penalties that might be set. Click HERE to access WFA’s Global Privacy map that shows the various privacy trends emerging in major markets and how they compare to EU’s GDPR standards.